Just recently I had a super powerful email discussion about happiness and suffering with the General Manager of a plant. I have to agree. I have been there, and all the difficult times have made me mentally stronger. Having said this, everyone deals with difficult circumstances differently. There are different stages, in which we are supposed to grieve and in other instances feel lost or sorry for ourselves. 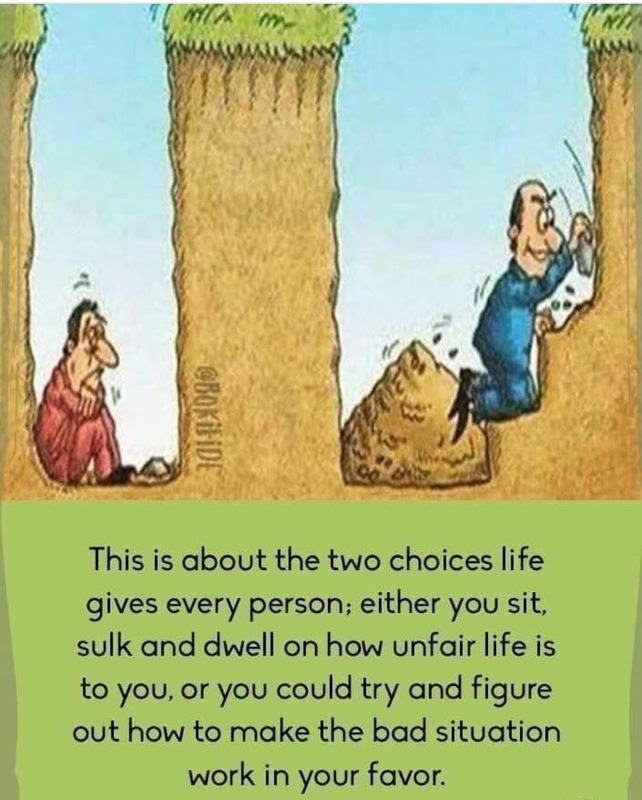 Life goes on, and it will serve us well if we learn to overcome these periods of our life, otherwise we end up being bitter and angry at everyone who crosses our path. When I hit rock bottom in my life at the beginning stages of my business in 2008 (after a layoff, alone in Canada without family, limited network of people, single, and no money), I can remember times when I was sitting in my little apartment crying my head off, not knowing how I would make it. I didn’t label this time of my life “suffering” but I guess to some degree it was. I can remember that I had taped a quote on my laptop that has helped me to this very day: “Tough times don’t last, but tough people do.” (by Robert H. Schuller). Somehow I managed to convince myself that I am a smart and tough cookie who can conquer anything that comes my way. Thankfully I had some really good friends in my life and I had my health. That’s all you need when you want dig yourself out of a hole. Make a plan, be determined and persistent and the sky is the limit. I wished I would have been prepared ahead of time and had a mental strategy in place BUT I didn’t. Today in my business it is my goal to help as many people as possible to develop a more constructive thought process, which in return will help them to have better emotional control when unexpected challenges and uncertainty come their way. Everything starts in our head and how we deal with difficult situations.